London is THE city of a great choice of places for afternoon tea: from famous classy hotels to cozy family-run cafes all across the city. Afternoon tea is something served between 2 pm and 5 pm and is a custom originated among the wealthy classes in England in the 1840s. Served with small snacks and cakes, afternoon tea is considered a light meal to get you through the day till dinner time. But I have to warn you that afternoon tea is not so cheap. Starting price is somewhere at £18-20 per person and goes up to £50 or more which includes your choice of tea, scones with cream and jam, cakes and finger sandwiches. If you fancy for a more luxury experience, champagne can be added to the order. Yes, champagne! Englishmen surely know how to celebrate the ritual of taking tea. After some research I chose to visit the Fan museum and its lovely orangery for my afternoon tea experience last weekend in London. 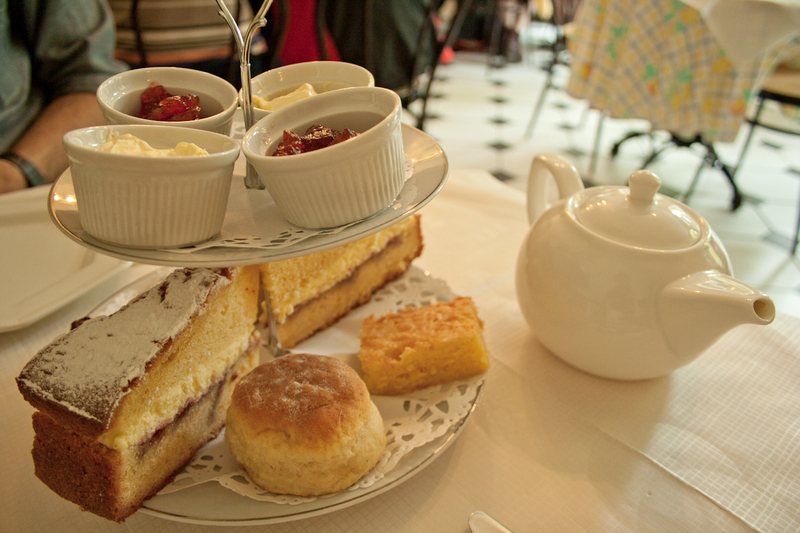 Rated as ‘Best Value Afternoon Tea’ by Daily Telegraph in 2012, this place serves afternoon tea for just £7 plus £4 for the admission to the museum. The Orangery is small and cozy with a view to a Japanese style garden, while the staff is always helpful and friendly. 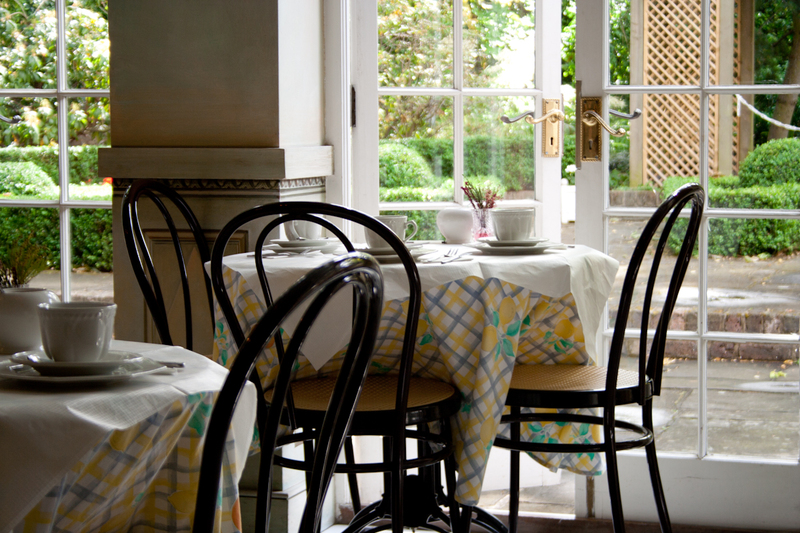 You must make a reservation beforehand as the Orangery isn’t open to the public. 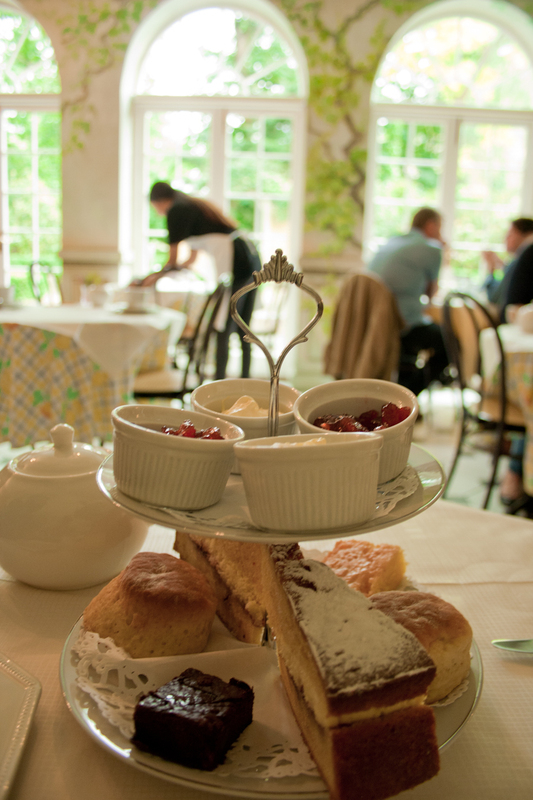 Afternoon tea in the Orangery comprises freshly-baked cakes and a cake of your choice, scones with cream and strawberry marmalade (check my blogpost on how to bake scones) and a pot of tea or a cup of coffee (refill possible). If you have some time and are interested, you are invited to explore the museum and learn about the history of fans. I find it great that the museum is located just next to the Greenwich park, so you can take a stroll afterwards and burn any extra calories! My conclusion: the Fan museum’s afternoon tea was a good value for money. I’m now better prepared for my next visit to London. I’ve come across a guide book on Tea & Cake London while visiting the Tate museum. 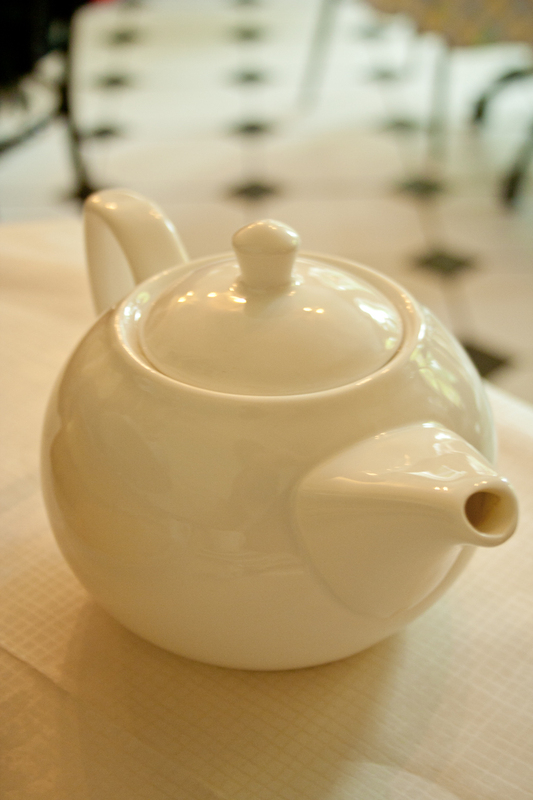 This quick photo guide book in review style presents everyday cafes and tearooms as well as the best of afternoon tea places in London. There’s also a section for bakery lovers and another one on vegan and allergy-friendly spots. 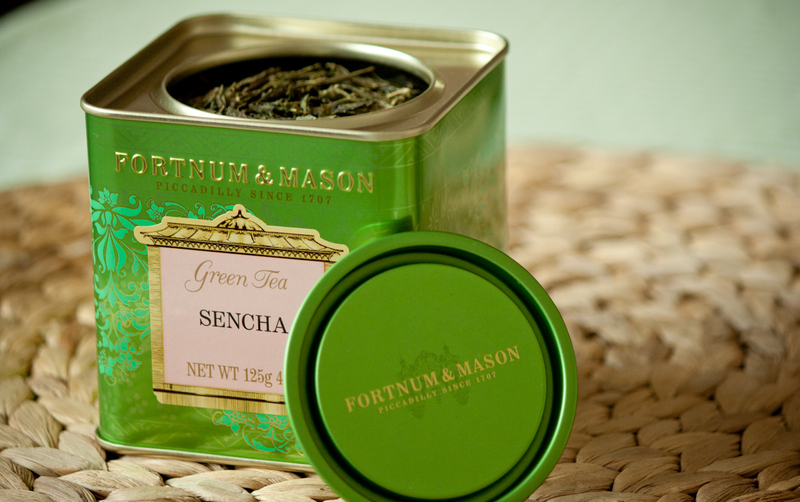 Along with the book, I’ve brought back a gorgeous box of classical Sencha green tea bought at Fortnum & Mason.